The super stylish and glamorous Malaika Arora has jetted off to none other than Los Angeles! 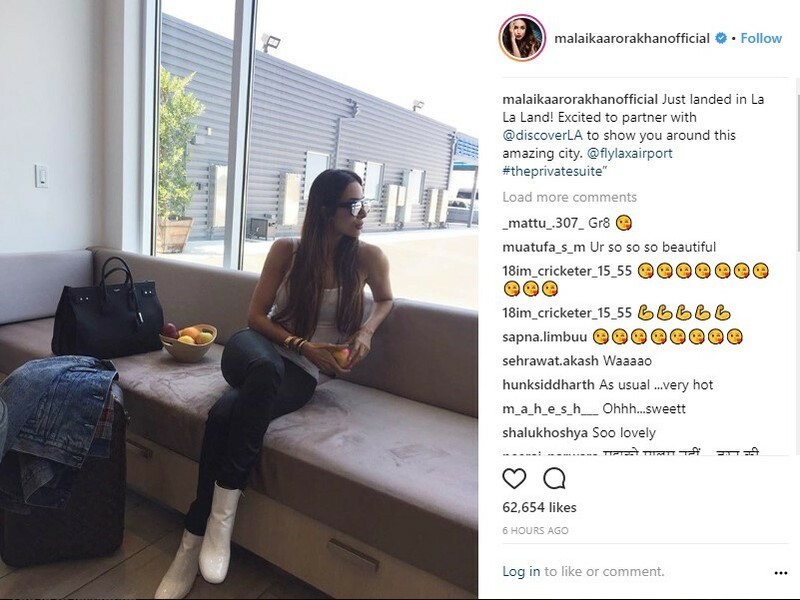 Malaika is all set to indulge herself in a week of glorious sun, sand and fun in La La Land. The dance diva and popular TV personality will be exploring the Good Life in L.A. – shopping and city sights, spa therapies, a one-on-one session with celebrity makeup artist Rachel Goodwin and the local nightlife scene are just the tip of the iceberg. Malaika will bring out the movie buff in her with tours of the Warner Bros Studio – do we have another Indian star rising on the Hollywood horizon? Being the fitness fan that she is, Malaika will take in the joys of sunset yoga sessions at Venice beach and training sessions with celebrity fitness trainers. Vacations are all about food! And memories around food! And the next few days will have Malaika breaking all her diet resolutions and giving in to her food cravings at some of L.A.’s most famous food trucks. And maybe, just maybe, she runs into Wolfgang Puck.